All proceeds will go directly to helping offset Billy’s medical expenses. Asheville, NC — A large group of friends has come together in the bluegrass and acoustic music scene in the area to help our good buddy, Billy Constable, raise funds to offset his medical expenses for a brain tumor that he was recently diagnosed with. The Grey Eagle is hosting the event on Sunday, December 11, 2011. The doors open at 6pm, donations will be accepted, and there will also be a silent auction. Bands performing are Big Daddy Bluegrass Band, Asheville Bluegrass Collective (featuring: members of Steep Canyon Rangers, Larry Keel & Natural Bridge and Town Mountain), Jason Burleson and the Bluegrass Buddies, and Nikki Talley. After touring with The Doug Dillard Band, Billy took a break from the road in order to work on his banjo skills while playing in a family’s band, The Constables, who were living in California at the time. 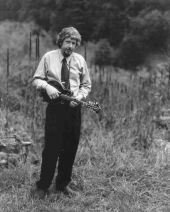 He later had the opportunity to tour with two more bluegrass greats, Kenny Baker, a veteran fiddler from Bill Monroe’s Bluegrass Boys, and Josh Graves, a long time Dobro player with Flatt & Scruggs’ Foggy Mountain Boys. 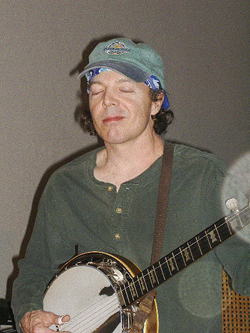 In recent years, Billy has carried his banjo into more jam-oriented groups such as Acoustic Forum from New York and New England’s Max Creek. He toured extensively and recorded with Hypnotic Clambake and The Larry Keel Experience. 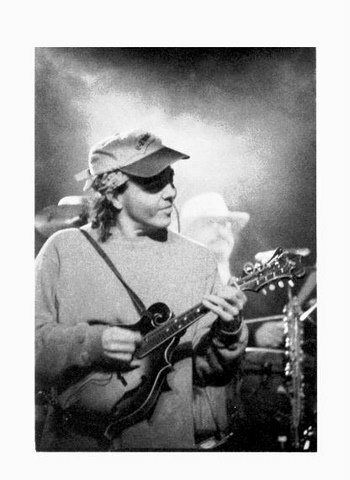 Billy has appeared on many shows with Leftover Salmon, and he was also a featured guest on a handful of String Cheese Incident shows and one of their recent albums “Carnival 99.” Billy also played with the seasonal Big Daddy Bluegrass Band with Steve McMurray, Curtis Burch and Larry Keel. For more information about Billy Constable and for updates on his medical situation, please visit: www.billyconstable.com and the FaceBook Event. 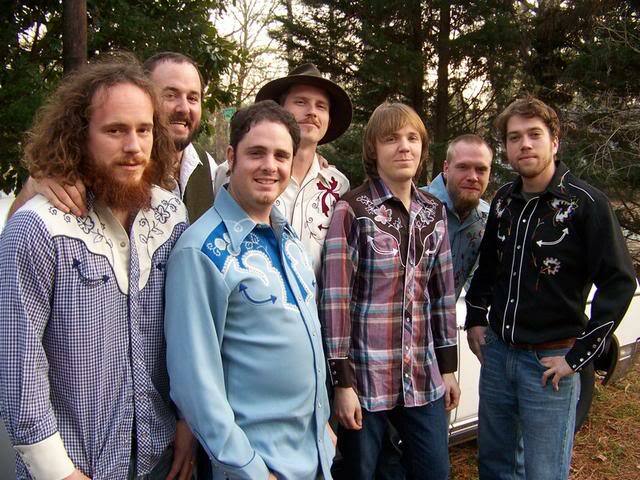 Asheville Bluegrass Collective– The Asheville Bluegrass Collective is a super-group of Asheville’s finest bluegrass musicians. The pickers include: Jon Stickley and Robert Greer (Town Mountain), Mark Schimick (Larry Keel and Natural Bridge), Charles Humphrey (Steep Canyon Rangers), Jason Flournoy, and many more special guests! Look out for some solid Asheville style Bluegrass! Jason’s instrumental compositions form an integral part of the Blue Highway repertoire, including “The North Cove” ( Through the Window of a Train), hailed by one critic as “a burning instrumental with a sinuous melody” that offers “more to chew on than just the whiz-bang pyrotechnics of many modern bluegrass instrumentals” (Smoky Mountain News). Jason also anchors the group’s quartets with his bass vocals. A jazz devotee, Jason’s talent hasn’t been fully revealed yet to the bluegrass community and gives Blue Highway unlimited options for the future. Jason will be leading a virtuosic group of bluegrass musicians featuring everyone’s favorite bluegrass buddy, David Via. 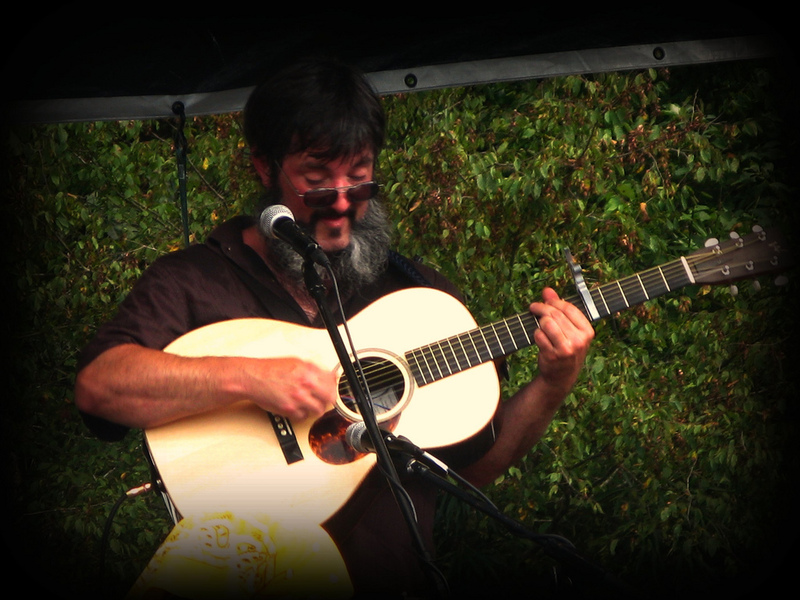 David Via’s songs come from being raised and living up in the Blue Ridge mountains of Patrick County, Virginia. 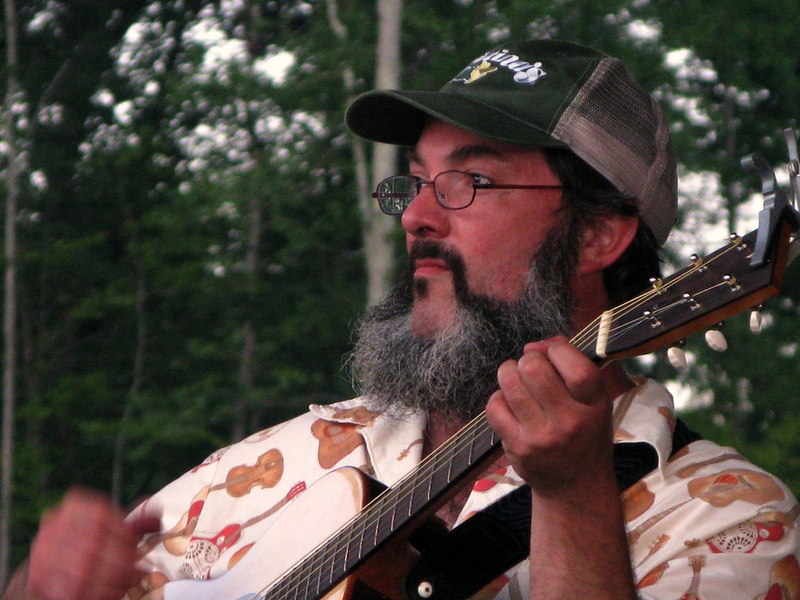 Via (as most folks call him – that’s pronounced Vi and rhymes with sky) is a well-known figure in bluegrass/newgrass circles with twenty-some odd years of singing and songwriting. Via first performed Americana/Bluegrass with The Bluegrass Buddies with Alan Bibey and Ronnie Bowman. Over the years, Via has played in a lot of lineups and with a lot of great pickers: the newgrass In Sync – Jody King, James Donchez, Kim Gardiner, and Alan Purdue, the Dan River Revue – Wyatt Rice, Tommy Morse, Tim Jefferson, and Pete Ross. Via has joined the stage with Vassar Clemmens, Sammy Shelor, Ronnie Bowman, Tony Rice, and John Cowan. He currently teams up with two-time grammy winner Curtis Burch to perform more intimate shows and highlights his original material with award-winning musician friends who spin David Via & Corn Tornado. Nikki Talley– Hardworking, energetic, mountain girl with a big voice…these could all describe Nikki Talley. Raised in North Carolina and hailing from Asheville, it’s only fitting that her music is as eclectic as the state that boasts the mountains and the sea. Trying to pin down Nikki’s style, critics and reviewers alike have compared her to an early Liz Phair and Gillian Welch, but to leave the comparisons there would be doing a disservice to her fiery stage performance, hauntingly seductive and raw gritty lyrics, lifted by a voice that harkens back to the Appalachian roots from which she was born, and shores up on the edges of contemporary southern rock, country, blues, and jazz that has her audiences stomping and clapping for more. Bands: Big Daddy Bluegrass Band, Asheville Blue Grass Collective (featuring: members of Steep Canyon Rangers, Larry Keel & Natural Bridge and Town Mountain), Jason Burleson and the Blue Grass Buddies, and Nikki Talley. The doors open at 6pm silent auction will close at 9pm. 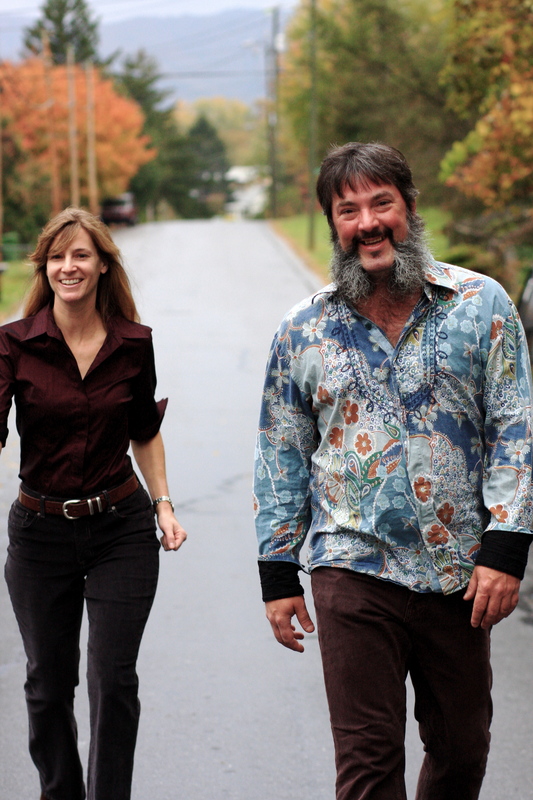 Message from the Keels: Recaps From The Festy & Harvest Fest as well as Bass and Grass News! It’s been an absolutely beautiful and magical fall festival season for the Keel crew, rolling around America’s hills and dales and doing our thang! The Festy in Roseland, VA was an epic weekend of ideal festivating! Hosted by the wildly talented Infamous Stringdusters, this event represents all the best best elements of a great and inspiring music festival- loved all the collaborations the jams and pickin around the campfire were wide open and memorable, to say the least (larry’s guitar head stock smells like barbecue now! it’s got some awesome mojo in it forever more!) .. a stage highlight was seeing that nuclear jam during the Toubab Krew set, when Larry and members of the String Dusters got up with em and blew the roof off the place.. our new favorite version of ‘Cluck Ol Hen’! Then we bolted across the middle of the country and headed over to Yonder Mountain String Band’s Harvest Fest, in the Ozark Mountains of Arkansas.. spectacular autumn scenery, awesome property there at Mulberry Mountain- and a perfect music festival, complete with amazing stage acts, killer art and vending everywhere, and lots of spontaneous pickin jams among the world class artists- Larry and Will Lee, Scott Law and Darol Anger spent a whole late afternoon jammin away behind the main stage… late night picks included Keel, Mark Schimick, Will Lee, Drew Emmitt, Bill Nershi, Andy Thorn, gals and guys from Elephant Revival and Railroad Earth! all crammed into an RV ! super fun- look out for flipped out video on all that- coming soon! Stage highlights included Larry and Adam Aijala’s guitar duo set, with special guest Darol Anger, our Keel and Natural Bridge set, with a grand finale including almost all of the Greensky Bluegrass dudes, and then a wonderfully deep and spiritual set by Peter Rowan, on his own- he got Larry up to do some tunes with just the 2 of them.. on their guitars- Pete said he wanted to test drive a new tune he had just written that morning, and he wanted Larry and he to explore it together, on the spot.. it was awesome- look out for footage on that soon too! And now! Stokin the home fires back in VA (well, getting the wood ready for the winter, more like it! ), and preparing for our next adventure! Bass and Grass down on our favorite lake in the South: Goose Lake, near Perry GA.. join us and fishin/pickin/partyin instructors Jeff Mosier, David Blackmon, Steve McMurry and Gove Scrivenor as we dig in for a weekend of country style resort music and nature retreat together ! no need to know how to play an instrument- you just gotta know how to smile! bring it on, Oct 27-30! Larry Keel and Natural Bridge and Grayson Capps at O’Neills Irish Pub. Doors at 6pm and music at 8pm. Tickets are available at CD Central and O’Neill’s (after 3pm). And, for all of you out there who love, hate, tolerate, or just admire his long flowing locks, it’s Eric Anderson’s birthday party too! Let’s Have A Party, That’s Right A Party! 11-11-11 is a big Birthday for me and I’d like to share it with as many of you that I can so I’ve scheduled a great night of music that includes Larry Keel and Natural Bridge & Grayson Capps. Larry Keel and Natural Bridge is one of my favorite Bluegrass ensembles I know. Larry is a master guitar player and a champion flatpicker, any guitar player should see him. His band is full of very talented musicians as well, consisting of his lovely wife Jenny Keel on Bass, Mark Schimick on Mandolin and Will Lee on Banjo. It’s Bluegrass with an edge. Grayson Capps is a down & dirty Delta Blues singer/songwriter from New Orleans. He has more stories than any one man should know. The richness of his songs lies both in the real life truths of the lyrical story as well as well as the gruff and sometimes tender delivery of the music. His music was used for the movie “Love Song For Bobby Long” and, as well as being in it, he was the one to help educate John Travolta on how to be Bobby Long. Either of these acts are worthy of the ticket price but come celebrate with me and you get them both. Maybe you’re just a number person like me and 11-11-11 is in itself something to celebrate. Either way I hope to see y’all there. Fishin and Pickin with Larry and Jenny Keel! Flat-picking guitar player Larry Keel lives a simple life of bluegrass and fishing for bass, trout or about anything else with fins. By Bill Lynch with the WV Gazette. Flat-picker Larry Keel is pretty much exactly how he sounds — a down-to-earth, plain-spoken country boy who just happens to be one of the best bluegrass guitarists in the country. Sometimes, he comes for the music. Sometimes, he comes for the fishing. Sometimes, he comes for both. Keel loves to fish almost as much as he loves to play bluegrass. A few years ago, he and a couple of partners got the idea to combine sport fishing with bluegrass picking. They started a company called Fishin and Pickin. Finding like minds has never been too difficult for Keel. He’s always had a talent for surrounding himself with or finding people who, like him, are dedicated to making quality music — and like to fish. Aside from and sometimes alongside his band, Keel often collaborates with artists like Jefferson Airplane and Hot Tuna’s Jorma Kaukonen and indie folk rocker Keller Williams. Lee is the son of bluegrass guitarist Rickey Lee, who played guitar and sang with the Stanley Brothers. “Will and me have been playing together for about 25 years now,” Keel said. The two met while performing during the Old Fiddler’s Convention in Galax, Va. They’ve been fishing for nearly as long. Keel’s wife, Jenny, rounds out the quartet, playing upright bass and singing harmony. Larry Keel might be hard-pressed to choose between his two passions: bluegrass and fishing. In fact, on a day set aside for interviews, Keel got a chance to go fishing and with the blessing of his wife and bandmate, Jenny, he went. “I actually love to fish, too, but I have to hold down the fort,” she joked from their Virginia home. Fortunately, he finds ways to combine the two – he recently launched a new project and Website called Fishin’ and Pickin’ at www.fishinandpickin.com. The site has lots of fishing and music tips and a schedule of workshops and camps Keel and friends host on live water properties that teach fellow musicians how to improve both their picking skills and their hooking skills. . . . . . . . . .Jenny said these days the band members prefer to be weekend warriors, although they can do three shows in a long weekend when they plan strategically. She said they need the time at home, not just to fish, but to handle the logistics. “We’re very self-managed and self-produced,” she said. Larry currently is working on his next album, with 13 others already under his belt. Great interview with Jenny Keel! Larry Keel & Natural Bridge shows this week in Atlanta, Savannah and Greenville, SC! Larry Keel and Natural Bridge have a fun weekend in store with shows in Atlanta, Savannah and Greenville, SC! They start off on Thursday, March 3rd in Atlanta at the Red Light Cafe. Friday’s show is at the Live Wire Music Hall in Savannah, GA and they head n over to Greenville, SC for a show at Gottrocks on Saturday, March 5th! 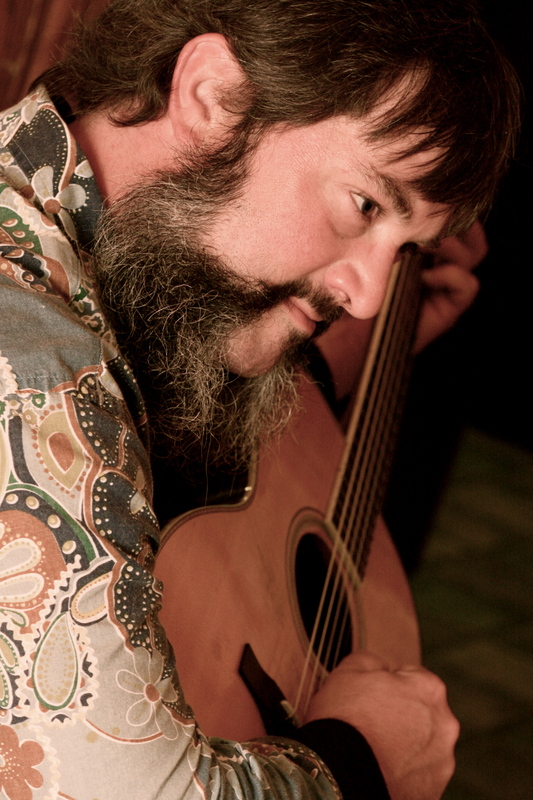 Keel is one of the pre-eminent flat-picking acoustic guitarists in the entire world. Anywhere. He holds his own with the likes of (his good buddy) Tony Rice. And it’s not basic bluegrass, the way Bill Monroe played it – Keel and the band (which includes his wife Jenny on standup bass) also play a jaw-dropping amalgam of gypsy folk and Appalachian instrumental music. This is acoustic music, pure and performed with intensity and flying-finger verisimilitude. One more thing: The Virginia-bred Keel devotes half of his official website to fishing news and tips (that’s his other passion). He ain’t a sweet-singing vocalist like Ricky Skaggs or Vince Gill – he’s got a gravelly, weathered voice that lets you know, right from the get-go, that between that and the fishing, the flatpicking and the mountain-man beard, he’s the real deal. Also check out the writeups in Connect Savannah and GoUpstate.com! Pickin’ and grinnin’ doesn’t get more descriptive than with Larry Keel & Natural Bridge. Larry Keel may be a guitar master but his “backup” band isn’t subpar. The Natural Bridge includes Mark Schimick tearing up the mandolin, Will Lee going to town on a 5 string banjo, and Jenny Keel beating down the bass. The bluegrass maestros are playing this Thursday night at Red Light Café. A trip to Atlanta is a trip home for Jenny Keel. Growing up in Atlanta, Keel says she listened to more classic rock, southern rock and jazz than bluegrass. It wouldn’t be until she moved to Virginia to attend college that she was fully exposed to the genre. Larry and Jenny Keel. Photo by Bright Life Photography. While Keel says being able to play together helps with the grind of the road, she had to learn how to play first. “It solves the problem of homesickness and yearning to be back home with the family unit,” Keel says. “We’re our own family unit, together 24/7, and we wanted it that way from the beginning, when we met and fell in love. Larry put her to the test during her lessons. Those quickly learned bass skills can be easily distinguished on their 2009 album Backwoods. Keel says she would like to learn the banjo and guitar more, but like most people she has to battle time. One thing that there is always time for is music. Keel says performing is a chance to connect to other people. Are you going? Tell me Sarah on Twitter @djsarahspin. Keep up to date on all the latest jam band happenings in Atlanta by hitting the “subscribe” button. Two amazingly talented acts will be performing at The Evening Muse this Thursday, February 24th in Charlotte, NC: Cathie Ryan and Larry Keel & Natural Bridge. Traditional Irish vocalist Cathie Ryan (Cherish the Ladies) is suberbly talented and has receive the award of “Female Vocalist of the Decade” by liveireland.com. Cathie will be accompanied on guitar and vocals by Ireland native Patsy O’Brien whose guitar playing moves from driving rhythm to delicate and melodic finger picking. The New Haven Advocate writes, “His music is stomping and ocean breezy – sure footed and fragile …”. Cathie will also be accompanied by on fiddle by New York born Matt Mancuso, who was the star fiddle player in Lord of the Dance – performing to sell out crowds throughout the world; a founding member of the rousing ensemble The Mickey Finns, and has taken star turns in tours with Irish super-group Grada. 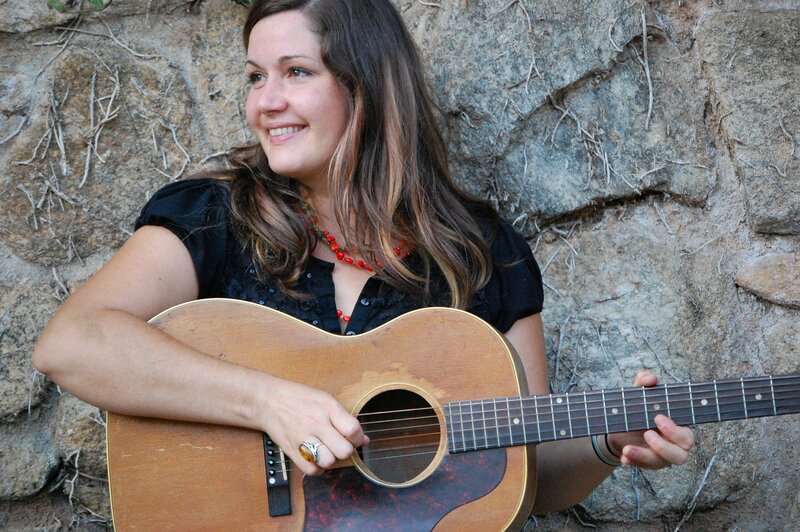 Cathie Ryan starts the evening off at 8pm. 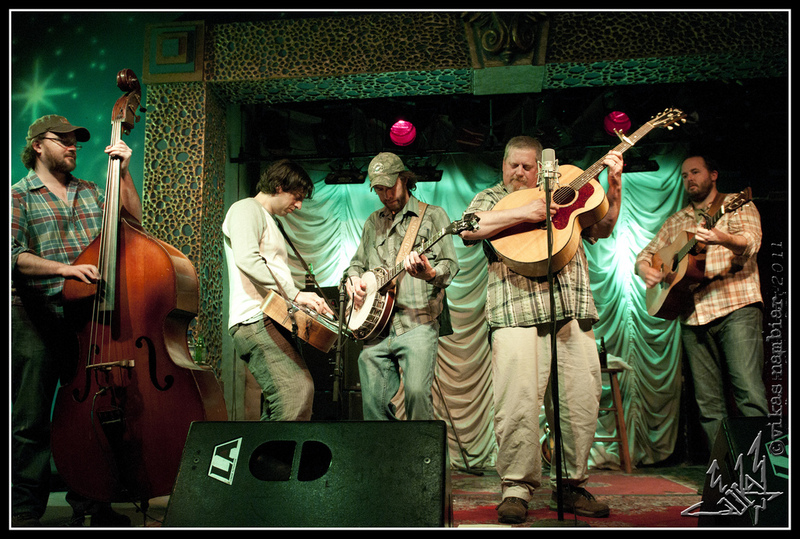 Alternative Bluegrass ensemble Larry Keel and Natural Bridge have a show in the late evening slot, beginning at 10:30pm. Larry Keel is award winning flatpicker that is well known for his gravelly voice and lightning fast licks. Keel is backed by his band, Natural Bridge made up of the vastly talented Mark Schimick on mandolin and vocals, Larry’s life-long picker pal (and fishing phenom) Will Lee on soulful, blues-grass style 5-string banjo and penetrating lead vocals, and wife Jenny Keel with her impeccable timing and solid, yet imaginative bass lines as well as tenor vocal harmonies. Irish American singer-songwriter, Cathie Ryan, has been called a “thrilling traditional vocalist,” by the Boston Globe. Billboard Magazine says her voice is, “enchanting.” and The Irish Echo says her singing is “mature, masterful, at times magnificent.” Since her acclaimed seven year tenure as lead singer of Cherish the Ladies, Cathie has released 4 critically acclaimed CDs on Shanachie Records: Cathie Ryan, The Music of What Happens, Somewhere Along the Road, and her latest, The Farthest Wave. She is featured on more than forty compilations of Celtic Music worldwide, including the renowned A Woman’s Heart – A Decade On. Cathie tours internationally, headlining at performing arts centers, folk festivals, and guest starring with symphony orchestras. A captivating performer, Cathie’s shows are renowned for their blend of song, story, and the virtuoso playing of her award-winning band. “Anyone wondering what constitutes excellence in Irish American singing today, need only attend a Cathie Ryan concert…” The Wall Street Journal. “There is a powerful sweetness in Cathie Ryan’s voice, as well as a Celtic intensity that can be felt in all the songs she writes and sings–songs of place, songs of memory, poignant songs of the heart,” state Billy Collins, Former U.S. Poet Laureate. “With an unofficial title of ‘Bluegrass Legend and Master Fisherman’, Larry Keel is considered one of the best flatpickers on the planet. 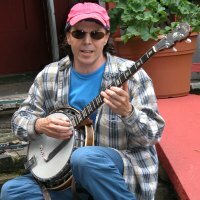 Steeped in the old-timey and with a gravelly voice as deep and rich as moonshine on a riverbank… Larry’s flat-picking style is as seamless as it is gymnastic and he’s a master at simulating banjo rolls, mandolin runs or even parts that you would normally hear played on a fiddle,” touts Mousike Magazine. Keel has weathered the changing tides of traditional bluegrass, country, jam rock, roots reggae, and even the currently emerging indie-alt scene always honoring the pioneers that introduced Bluegrass and Mountain Music into popular culture. Throughout his career, Keel has released 13 albums and is featured on 10 others. He is an ever-evolving musical force that stands in ongoing defiance to all genre expectations. And his fierce, high-spirited energy also appeals to young rockers, jammers and alt country pickers and fans who are equally drawn to Keel’s deep rumbling voice, his earthy and imaginative song-writing, and his down-home-gritty-good-time charm.